As a parent life is a little bit like navigating the climb up a steep mountain. At the top of the mountain there are gorgeous meadows and stunning views. At the bottom, a murky, stinking, sucking, cesspool of a swamp. The terrain in between can feel challenging and endless and thankless. I have discovered that staying on the path so I can find myself more frequently in the meadows, enjoying the stunning views, is all about choosing love over fear. Choosing to consider my life and everything about it through a love-based lens rather than a fear-based lens. That is, choosing to walk the high road. My two boys are 15 and almost 12 years old. Recently it came to light that one of them had been getting a laugh from friends at the expense of his brother. The sort of humour that most wouldn’t give a second thought to because it is just that common. But the sort of humour that has one sensitive boy left stewing in hurt while trying to maintain his pride. It has apparently built up over a few months of recurrent incidents. And it apparently happens more at their dad’s house than at mine. As I listened to a recent pouring out of my son’s hurt I had a choice to make as a mama. Would I choose love? Or would I lapse and choose fear? Fear would have me discharging anger. Getting it out on someone. Blasting his brother for being insensitive. Blaming their father for not having a handle on things. Blaming those little jerks his brother calls friends for daring to jump on the name-calling bandwagon. (And yes, I know I just called them jerks!) Slamming his brother with a consequence. Firing off a judgmental, prescriptive email to their father about why he needs to get control of this. All of it stinking of anger, guilt, pride, blame. That is to say, all of it stinking of fear. All of it leading to separation and a further fracturing of relationship. So what about love? What about the high road? What about seeking mountain meadows and stunning views? What does it mean in this case to choose love? Choosing love means surrendering fear. Love is not motivated by a worry of what all of this means about one boy’s insensitivity and what if he keeps doing this and what kind of child have I raised. 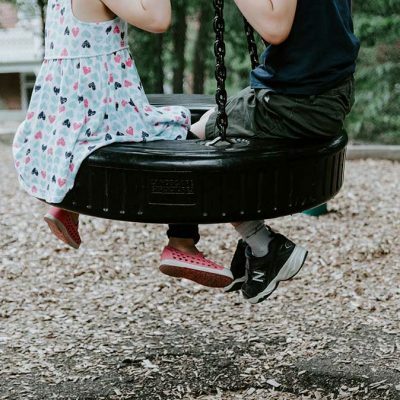 Love is not motivated by a worry of what damage has been done to the other boy and how he will carry those wounds and what impact this will have on him. With these truths all around blame does not exist. I have no fear of what has been or what will be. I am not fueled by angst. I surrender all of it. You might be reading this and thinking, “Okay, well that is all great. Choose love. Fine. But what do I DO? !” And you are right. At some point, there will need to be a move to doing. However, you cannot start with the doing. You have to begin with the being. After all, as Wayne Dyer famously said, “We are human beings, not human doings”. I choose love as my lens so it might form the foundation of everything about my being. It is from this place of being that I then land on the doing. It is from this place of being that I then step in as a parent and take care of business. I must BE before I can DO. Trying to get right to the doing without first cleaning up my being leads to a giant tumble down the mountain and a disheartening swim in the swamp. So it was from this love-based place that I chose an understanding conversation with my son who had gone for some laughs at his brother’s expense. I heard him out about the challenges in their relationship. I listened to his frustrations. And I saw his truth, his light, behind it all. He is not the name-caller or the insensitive one. He is a wonderfully bright and caring person destined for greatness. This was my being-ness. My doing then involved a stepping in. I let him know that in this family we don’t do that. In this family, we choose kindness and respect. In this family, we choose each other. In this family, brothers really matter. After all, I shared with him, your brother will be the person with whom you have the longest relationship in your lifetime. So it is worth investing in. It matters. It was from this love-based place that I also chose to join in conversation with my other son who had been hurt. I listened to his upset. I collected his tears. I understood his anger. And I saw through all of it to the brilliance of his truth, his light. He is not his hurt or his anger. He is an amazing, growing, bundle of potential. This is just one experience along his path of becoming who he is intended to be. This was my lens, my being-ness for him. The results then took care of themselves. What did that look like with love as my guide? I let him know that sometimes these things happen. I reiterated the culture of our family. I let him know that even though we have discussed it, life is a tricky thing which means it might happen again. And I shared some things he can do and say if that is the case. It was also from this love-based place that I didn’t talk smack about my boys’ dad and what happens at his house on his watch. I didn’t talk smack about my one son who had hurt my other son. And I didn’t talk smack about that son’s friends. I didn’t write an angry, blame-y email to their dad. I didn’t forbid those friends’ presence in my home. I didn’t ground or consequence anyone. Instead, I resolved to choose love, and I stepped in and stepped up from that place. Choosing love, choosing the high road, often isn’t easy. There is a whole lot of faith involved in all of this. Faith that if we choose love over fear in ourselves, and demonstrate that to our children, they will receive the gift of our lessons. And then carry on themselves to manifest love over fear in finding their way through life. Faith that in modelling and demonstrating a being-ness focused on love, our children will experience this and their life learning will flow naturally from that. 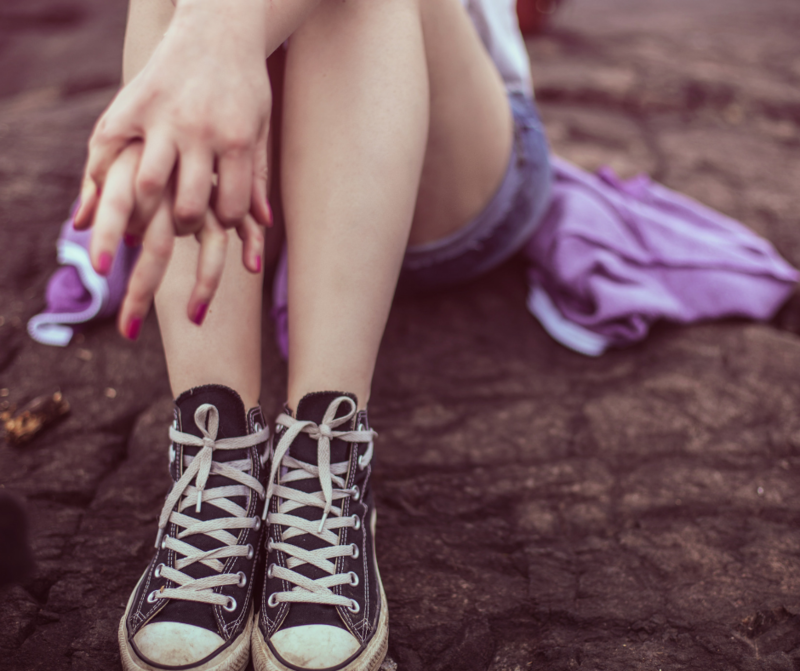 If we hold onto fear, it has us questioning the potential of our children. 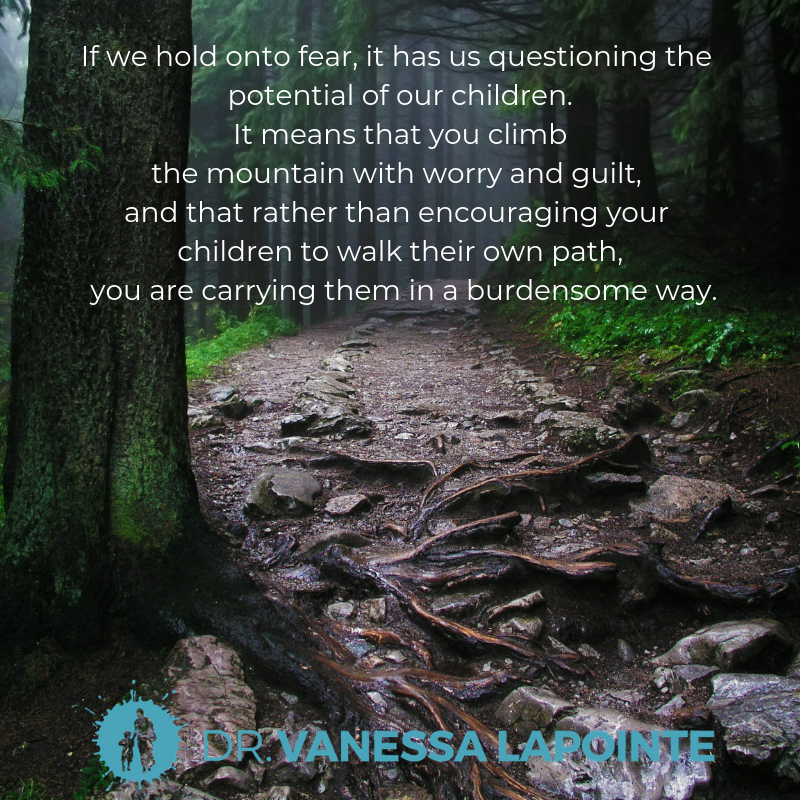 It means that you climb the mountain with worry and guilt and that rather than encouraging your children to walk their own path, you are carrying them in a burdensome way. Of course, this exhausts you. With love as your guide, you release all of that. You realize that our children are meant to walk their own paths, with us as their guides. We are not meant to carry them. We are meant to come alongside them, support them when they stumble, and have compassion for them with the ups and downs of their journey. 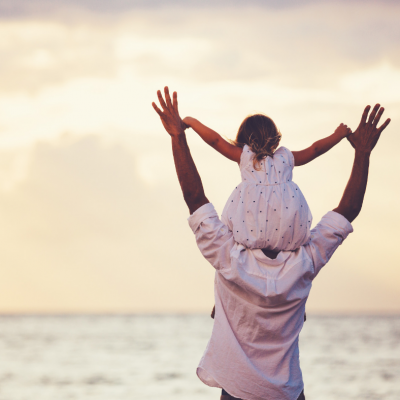 When we embrace love, we show our children this by living our own lives to the fullest. We teach them that it is not their job to fix everything and take care of everyone. And not because we are uncaring but rather because, with a new-found lightness, we can actually become more compassionate, more supportive, more available. 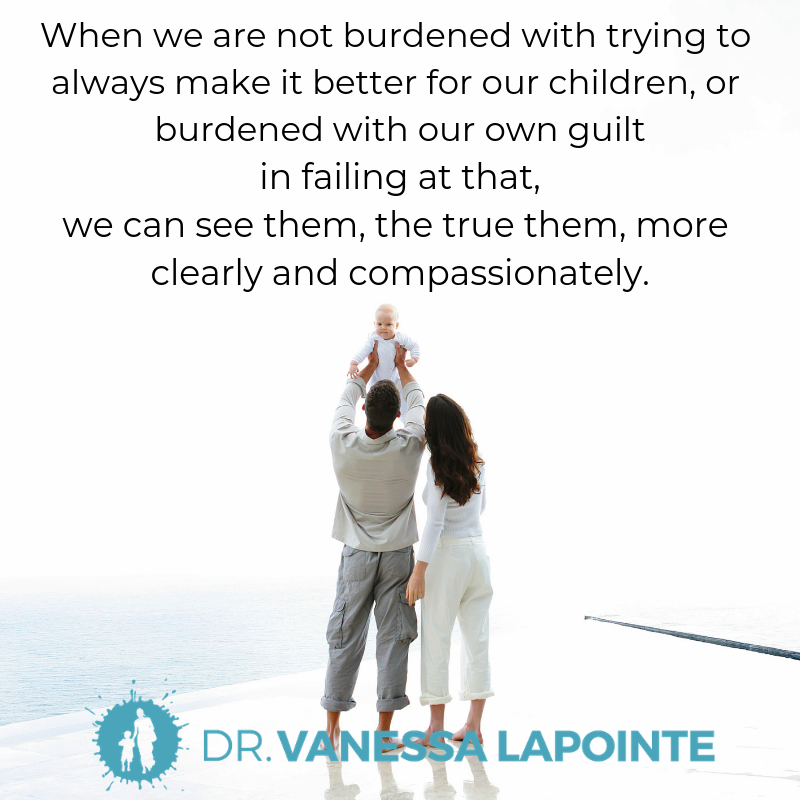 When we are not burdened with trying to always make it better for our children, or burdened with our own guilt in failing at that, we can see them, the true them, more clearly and compassionately. We let them know from our being, that they are capable to walk their path. What a wonderful gift. As Gandhi said, you need to “be the change you want to see in your world.” Let that be so of my words, my deeds, my love for people who are struggling, who name-call, who ignore, who say bad things about me. When I see through their behaviour to the truth of who they are and also the truth of who I am, I BE the change. I don’t DO the change. The doing flows from the being. And my boys’ growth and development as caring, loving humans, in turn, flows from that. I resolve to choose love. I resolve that when I fail, I have faith that I will fail better next time. I resolve that when my children stumble, I have faith that it is a perfect part of their journey. And they too will stumble better next time. 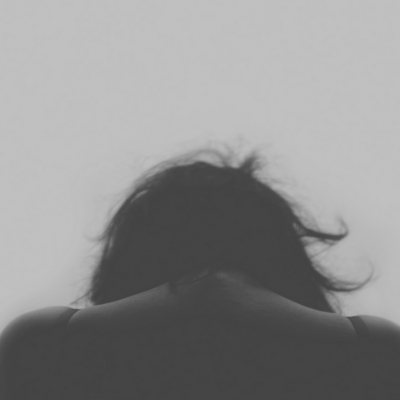 I resolve that I will not fall into guilt and shame because that does not serve me. I resolve that I will not drag my children into guilt and shame. Because that does not serve them. I resolve to NOT promise the absence of challenge and upset, but rather ensure the gift of learning and growing. I resolve to not make it all better but rather to allow the lessons, for myself and my children. I resolve to assure my steadfast presence as a nurturing guide. I resolve to remember that I have a path. I resolve to remember that my children also have a path and to have faith that they will learn. Perhaps not as fast I think I want them to. But they will learn. And I resolve to enjoy those gorgeous mountain meadows and that stunning mountaintop view. Happy 2019 all you big people out there! Let’s BE this. And let’s DO THIS!